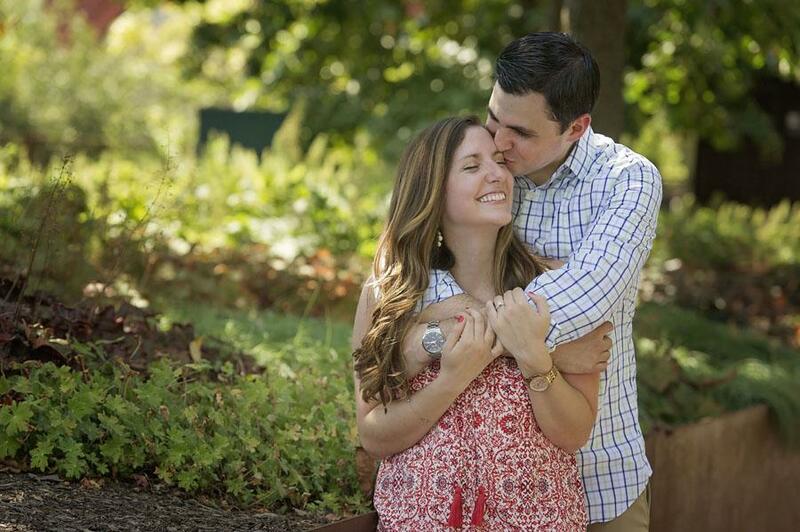 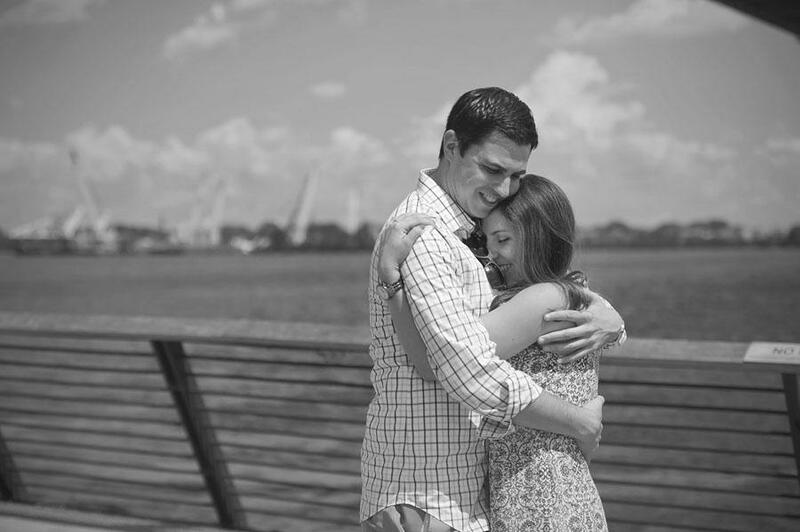 Tom and Deniz are perfectly sweet together, and their engaging charm will make your heart flutter! 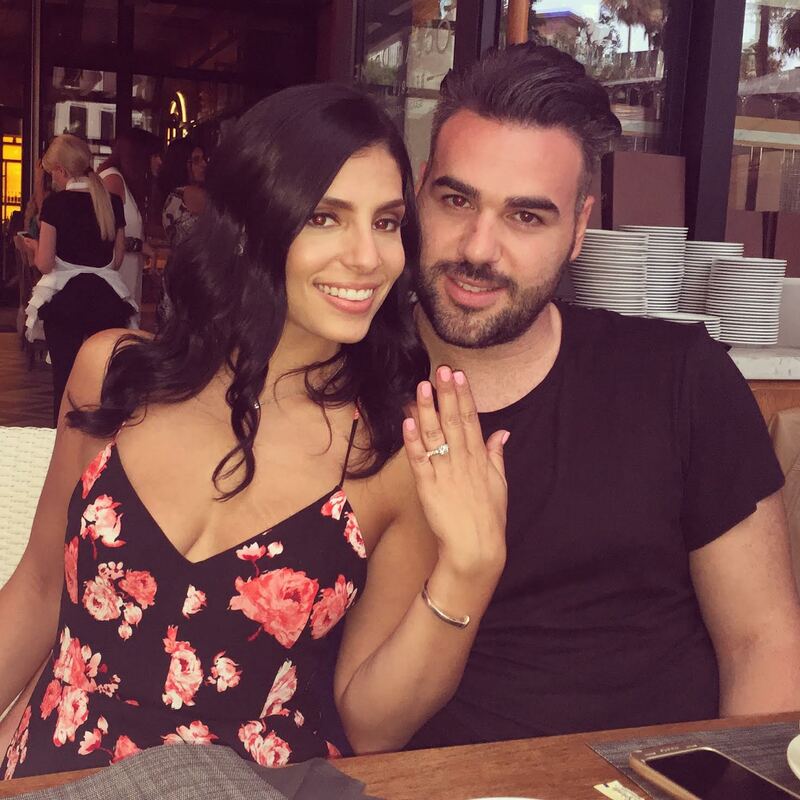 Deniz started her day with an unexpected scavenger hunt, and found her new hubby-to-be waiting to propose to her in the end! 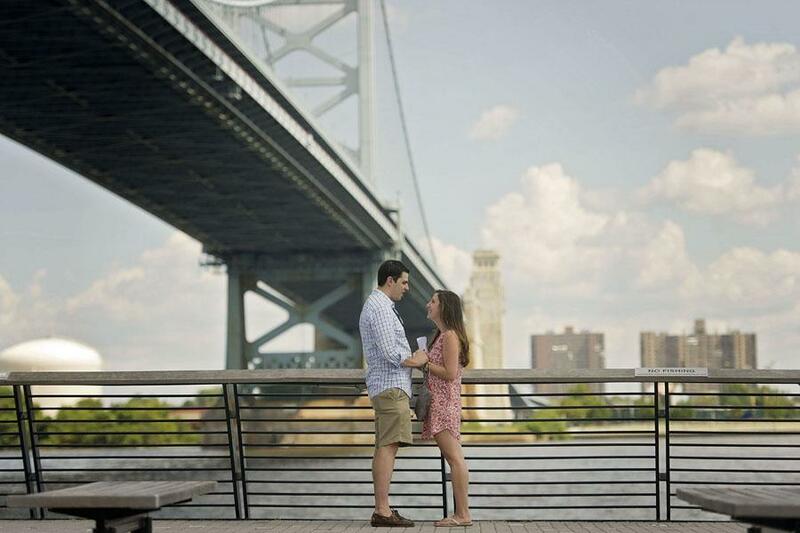 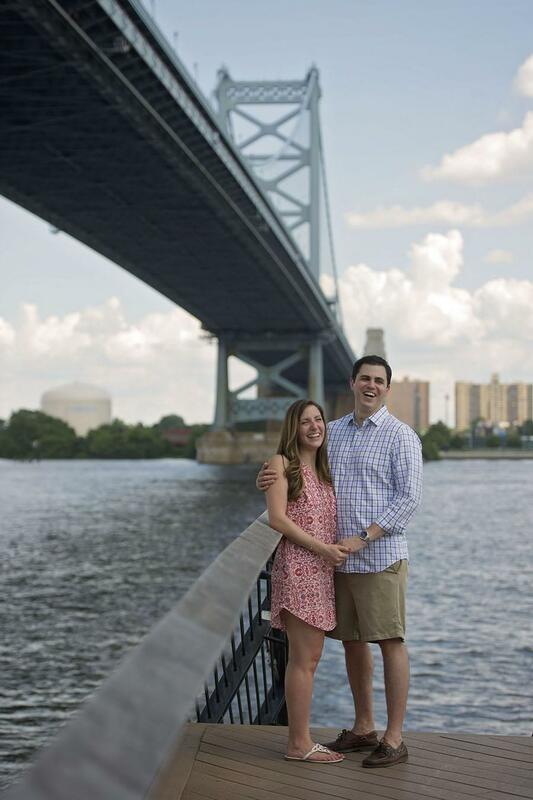 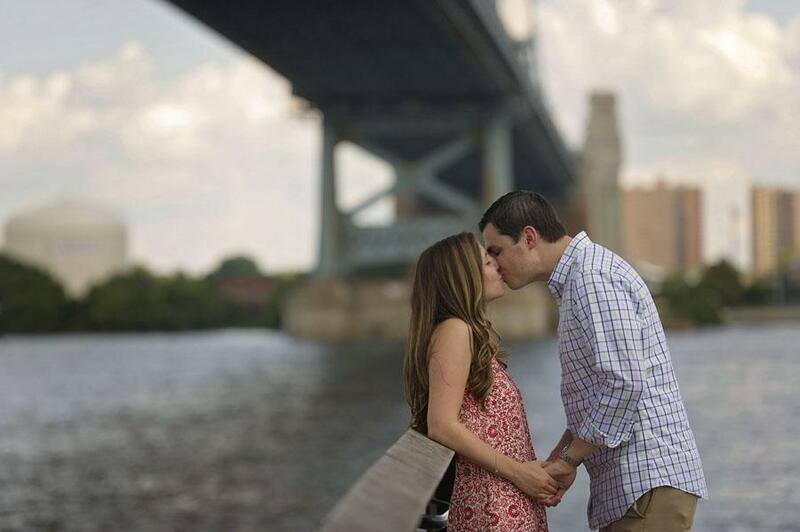 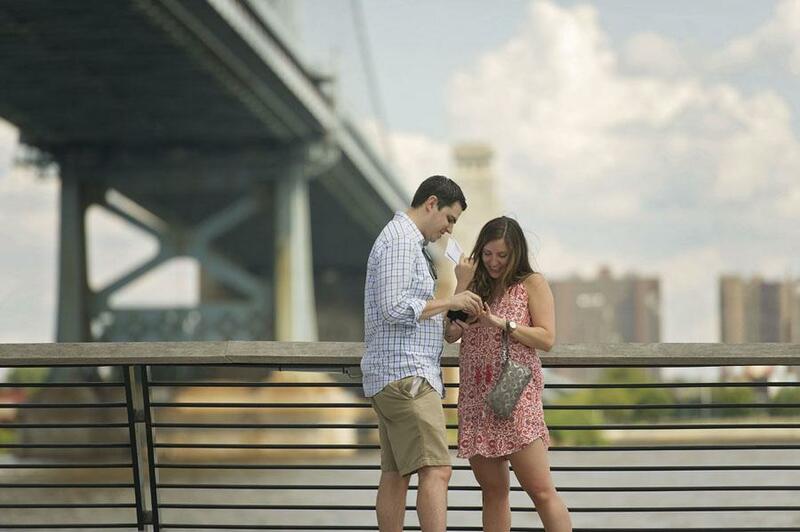 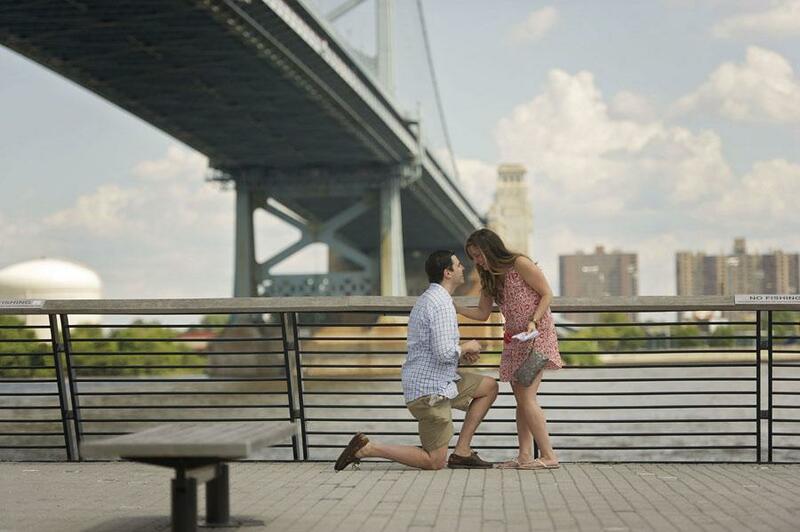 Race Street Pier was the most perfect backdrop to this utterly beautiful day in Philadelphia, presenting a charming waterfront landscape to this heartfelt proposal. 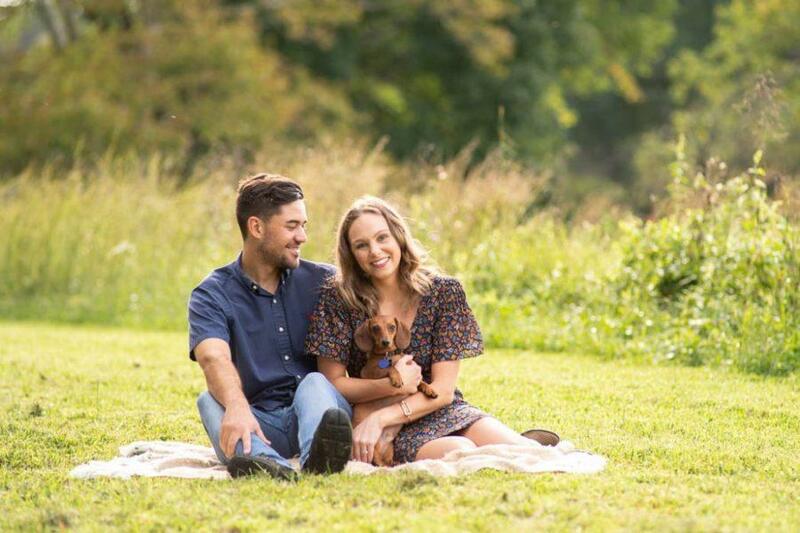 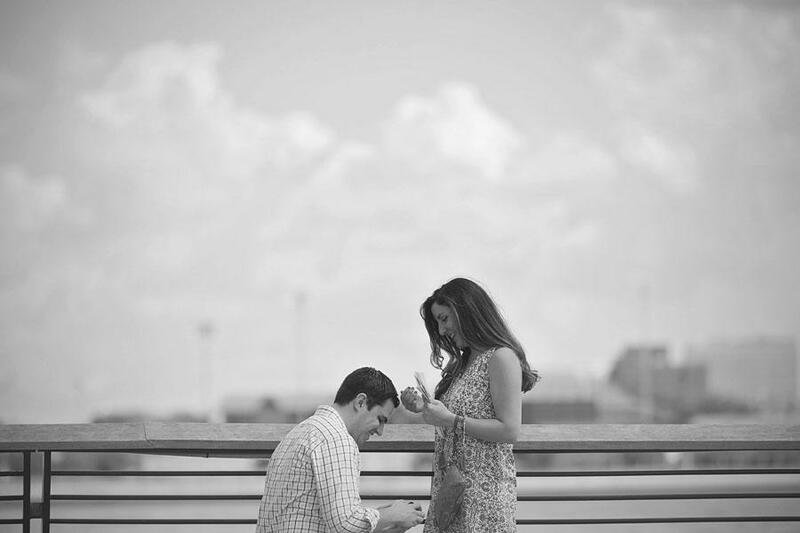 Kate Leigh Photographer was a hidden gem behind the scenes, capturing every beloved moment, and you can see how it all unfolded below! 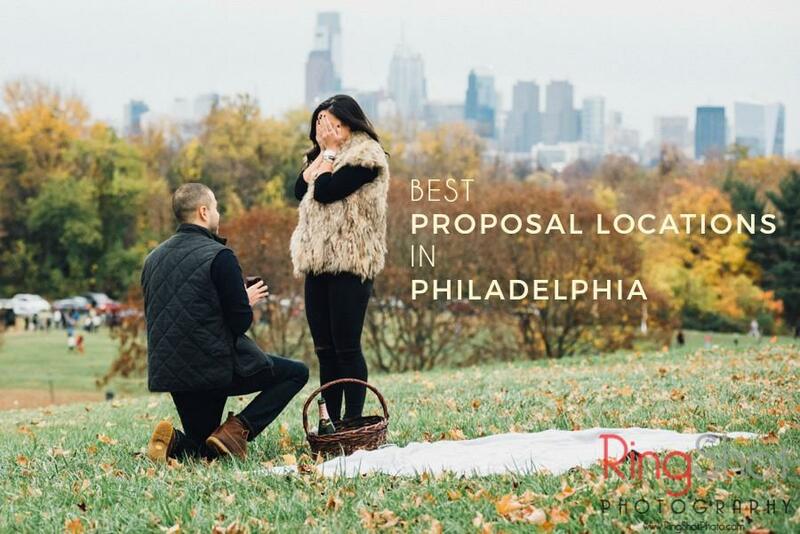 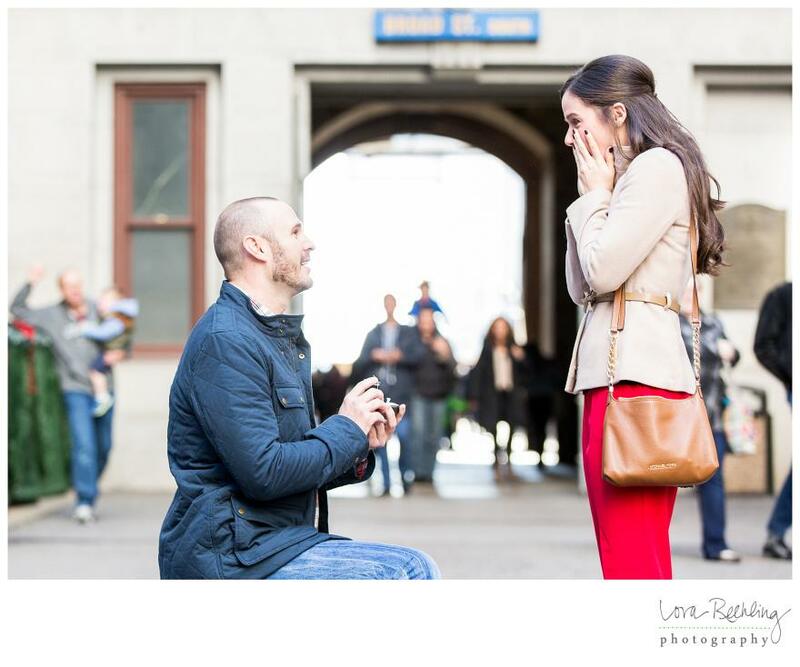 From the Photographer, Kate Leigh: “Tom contacted me about capturing his well-orchestrated proposal in Philly a few months ago. 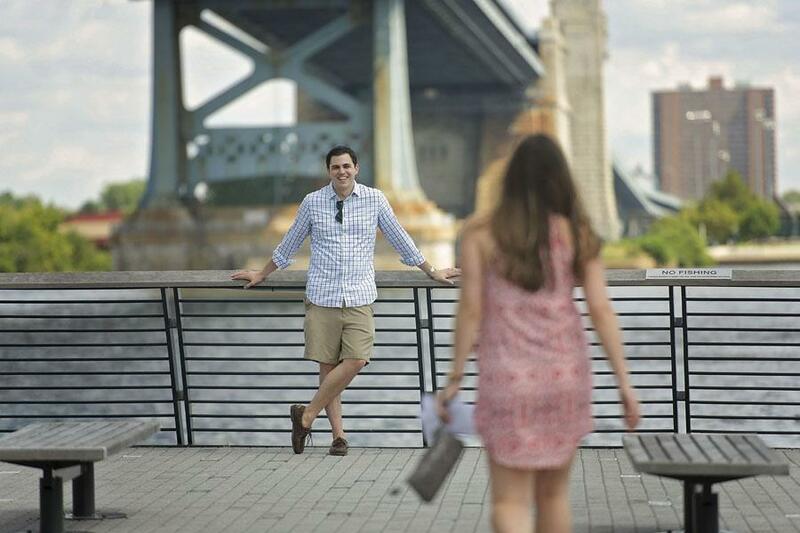 He had planned out a scavenger hunt for his girlfriend, Deniz through Old City where she would meet friends along the way who would give her, her next clue to get to Tom. 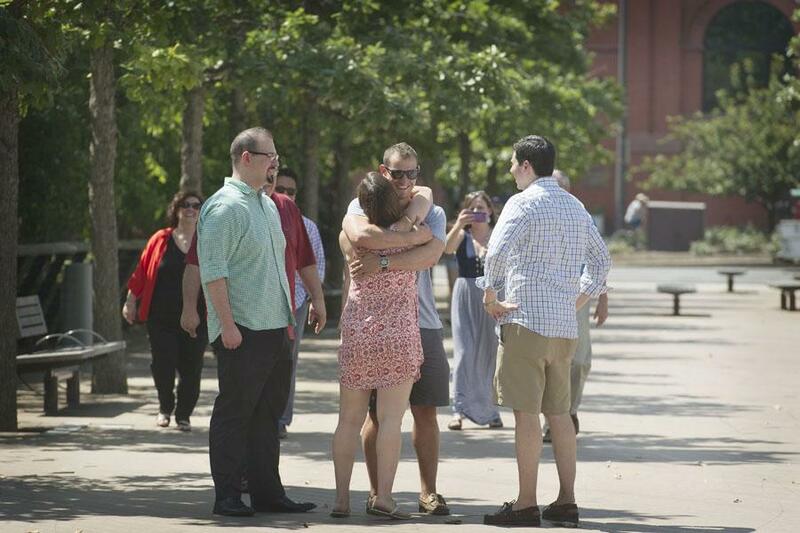 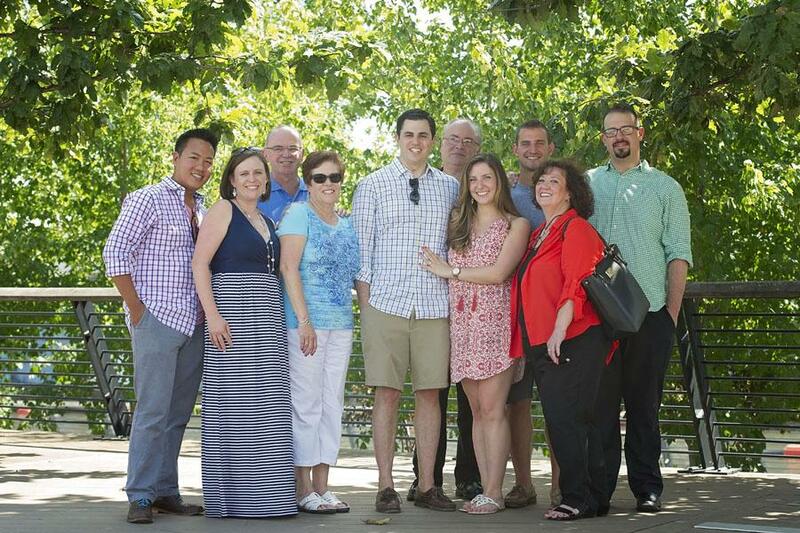 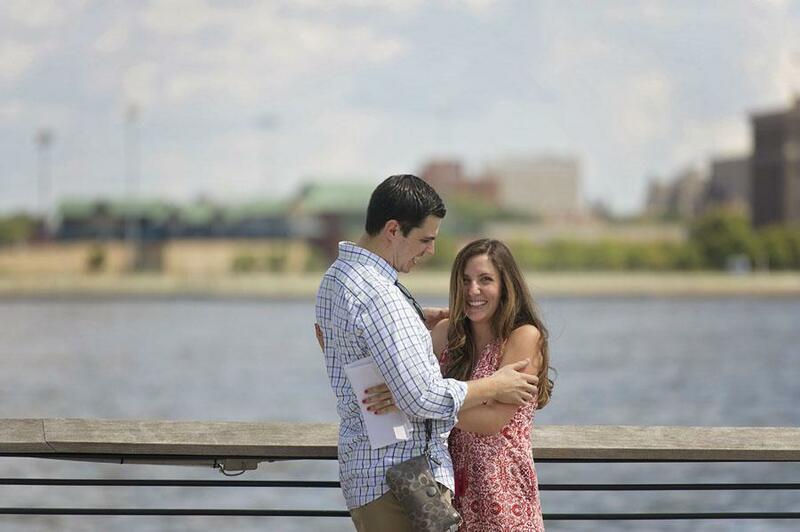 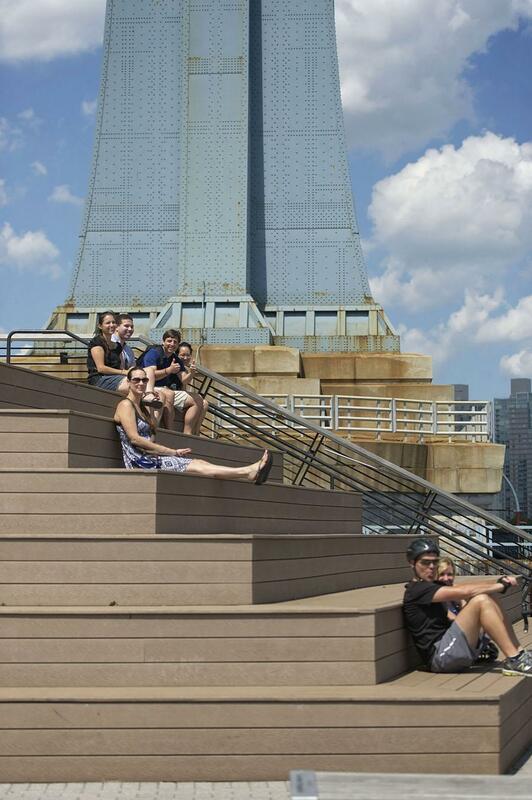 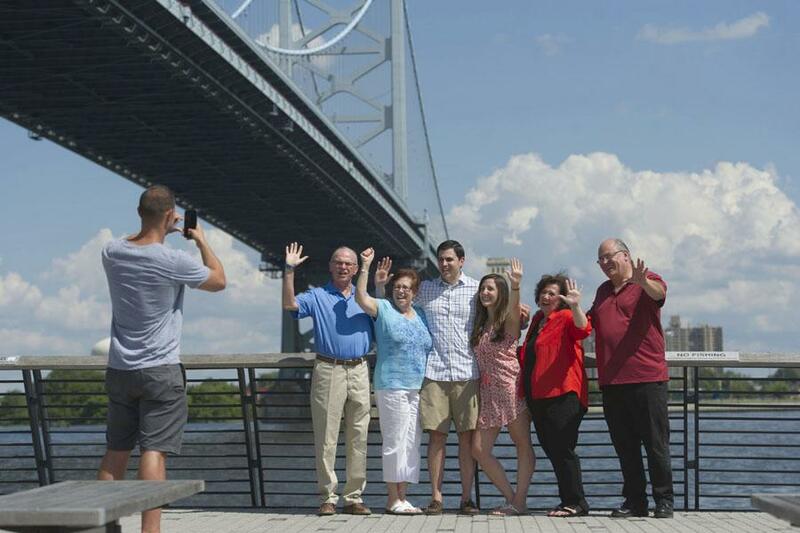 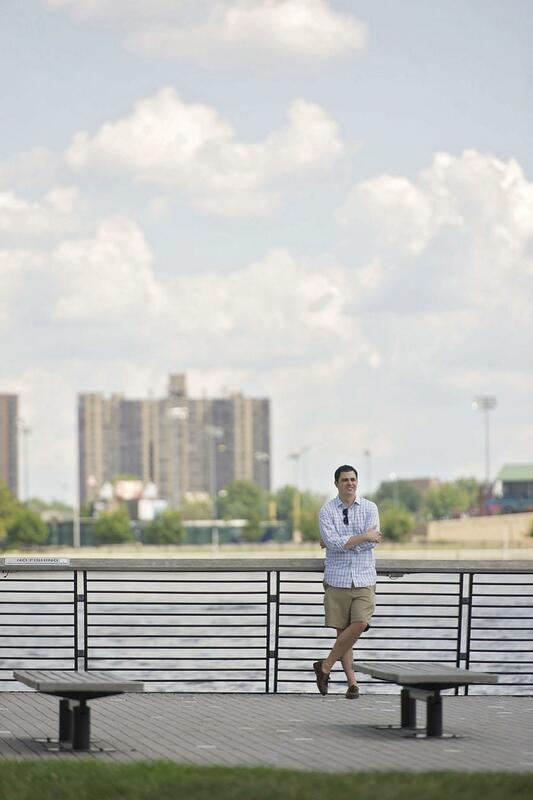 At the end of the scavenger hunt, Deniz ended up on Race Street Pier to meet Tom who got down on one knee. 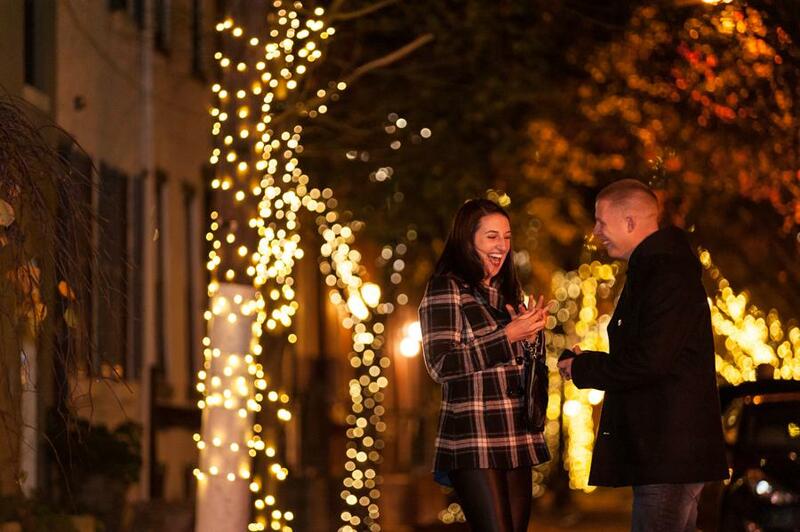 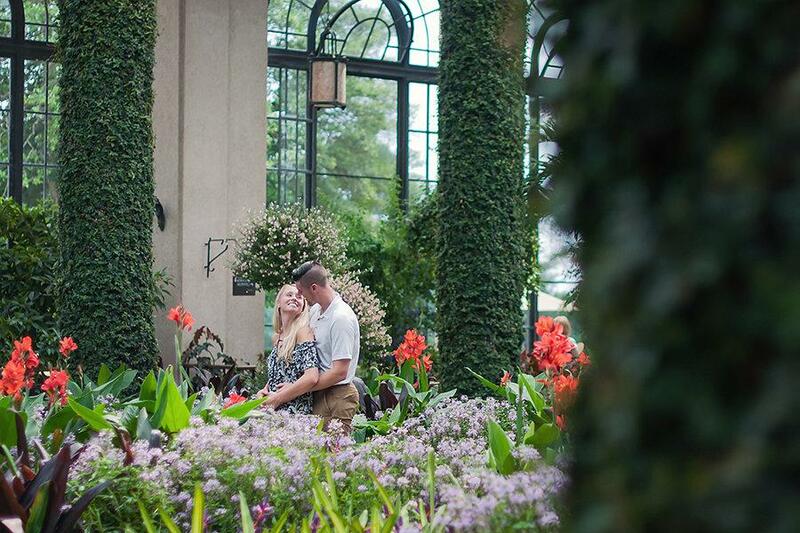 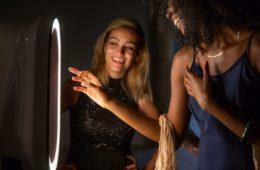 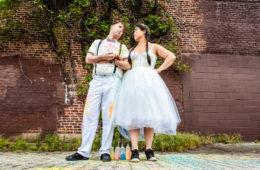 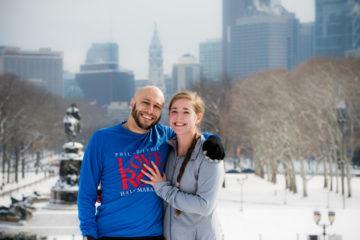 Scavenger Hunt Proposal with Philadelphia Artist Amberella Lovely Proposal at Lehigh University Philadelphia Art Museum Proposal by Alison Leigh Photography Engagement Ring Quiz: Which Diamond Shape Are You?